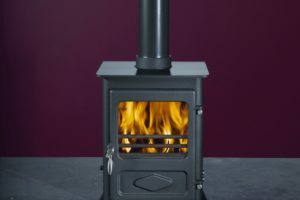 Products like the “Firemizer” from B&Q have been developed to increase the length of time your fuel takes to burn, while distributing heat evenly around the fire or stove, ensuring that every bit of fuel is used and thereby reducing waste. This particular design is created from a flexible grid of stainless steel alloys. It is designed to survive extremely high temperatures and is reusable. Of course, fuel saving devices are normally best used with solid fuel such as wood, coal or briquettes. Another good choice for stoves and fires that burn solid fuel is the use of briquettes that have been purposefully compressed in order to increase the time they take to burn. You can find large quantities online, including varieties that are made from totally natural materials such as these Beech briquettes from Normandy Briquettes. Increasing the life of your fuel will mean that you get through less at a time, ensuring that you require fewer supplies. Wood that has more than a 20% moisture content shouldn’t really be used in your stove or fire at all. Wood containing more moisture than this will sap energy from the fire – as it has to evaporate the water first, so it won’t burn as hot or for as long. Kiln dried wood usually contains a much lower moisture content than wood that has simply been cut and seasoned, so it catches more quickly and burns to a higher temperature for a greater amount of time. As coal burns hotter for longer, it’s often considered a cheaper option than wood – but then, that depends on where you get your wood from. 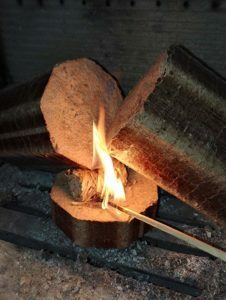 If you have a supply of timber that you have cut and seasoned yourself, you may prefer to use this first and use the option to burn coal as a backup in your multifuel stove. 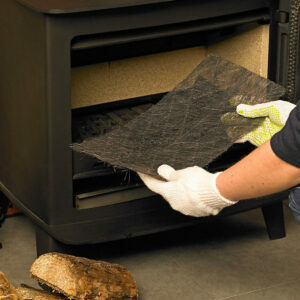 Remember, wood burning stoves cannot burn coal unless they are specifically referred to as a multifuel model. This is because wood and coal burn differently – the former relying on ventilation from above, while the latter requires air to come in from below. Like electrical fittings, fireplaces and stoves have different wattages that dictate how hot they will burn. Many people are not aware of this and therefore either opt for a model that is not powerful enough – so they need to keep topping it up and wasting precious fuel, or one that is too hot – meaning they need to let some of the heat escape from the room in order to be comfortable. Usually, you require one kilowatt of heat per fourteen cubic metres – so you can work out the stove or fireplace wattage you need by multiplying the length, width and height of the room in which it is to be placed, then dividing the total by fourteen. Not only is natural gas in good supply – meaning it’s affordable – but it’s also “clean” energy, giving off only the most minimal pollutant chemicals into the atmosphere. 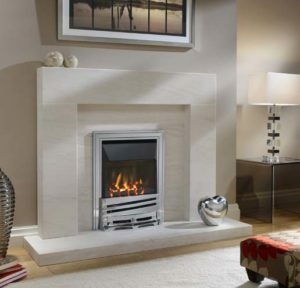 Take a look at the superb range of gas fires and stoves that ELB Fireplaces has to offer. Another good option is the “balanced flue” gas fire, which consumes less fuel due to its closed combustion system that requires no chimney. Visit ELB Fireplaces’ online shop today for more stoves and fireplace options that conserve fuel and heat your living spaces efficiently.